General Release Notes from the April 25th 2017 update. 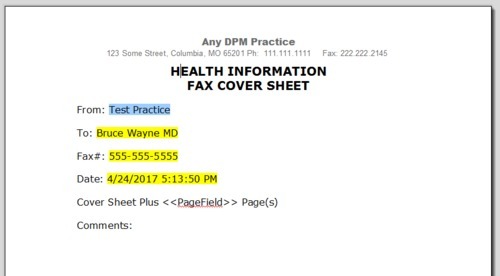 Implemented the ability to electronically fax patient notes, CCDA's and referrals. For more information about e-faxing in TRAKnet, click here. 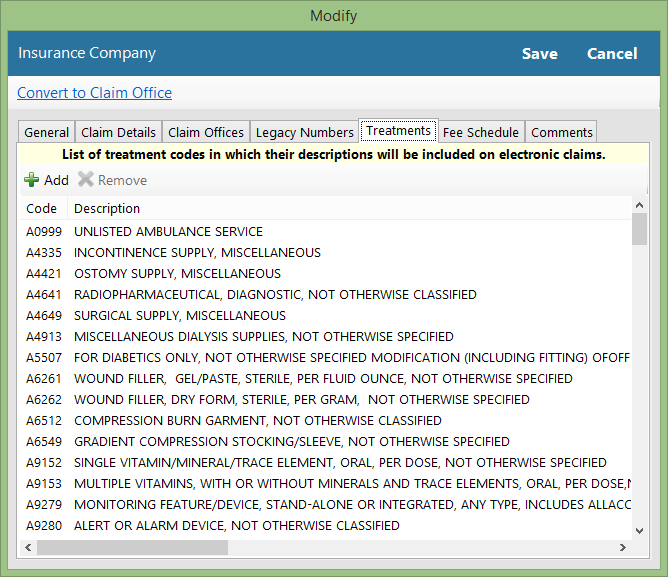 Implemented the ability to designate on the insurance level which treatment codes will be sent with a description on electronic claims. Implemented a new Dashboard template to track which measures you have completed per patient. Please note that this does not replace the need to document MIPS in each encounter and is purely for tracking purposes. 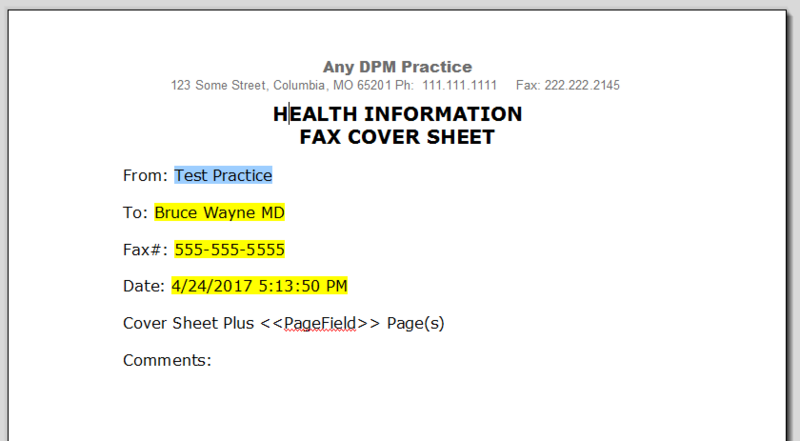 Added the name of each measure to the corresponding MIPS tabs in the invoice. 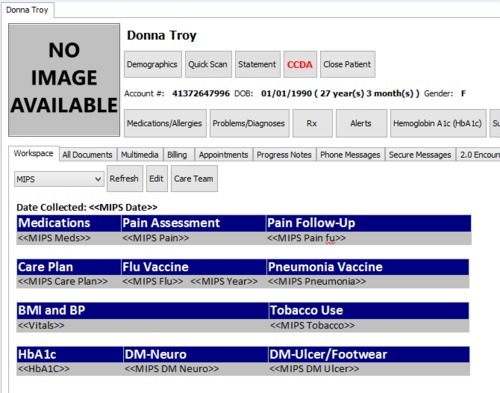 Implemented a checkbox on the Referring Provider search screen that allows the user to only view providers associated with a specific patient. 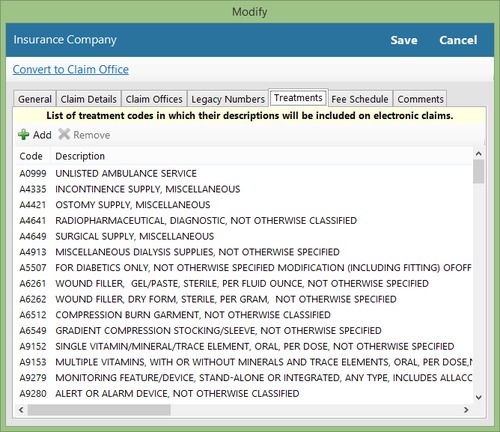 This filter can only be used when selecting a provider for electronic faxing, and for selecting a provider on Claim Details in the invoice. Resolved an issue wherein the Data Completeness calculations in the MIPS report were not correct in regards to exclusions. Resolved an issue wherein, under certain circumstances, integrated patient eligibility clients would experience slowness throughout TRAKnet after refreshing the scheduler. Resolved an issue wherein, under certain circumstances, providers were removed from encounters when billing for encounters through the Billing Dashboard. Resolved an issue wherein, under certain circumstances, PHI was still visible after TRAKnet's automatic inactivity logout.